Melbourne duo Fabulous Diamonds are an odd pair. 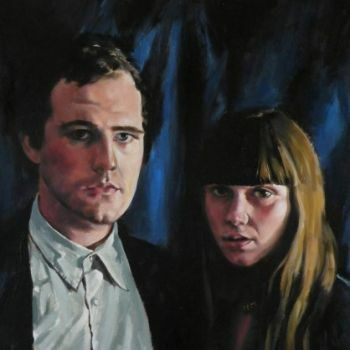 They make overtly hypnotic music, full of lulling, sensual repetition, but there’s also an edge of irritation, an undercurrent of friction that cuts through the drone and propels the songs forward. They have been playing and arguing together for more than five years now, and their musical bond has grown deeper and more expansive since their 2008 self-titled debut. That album made it into revered UK mag The Wire’s top albums of the year, and got glowing reviews from the likes of Pitchfork and The Fader. But this new record is still a remarkable development. 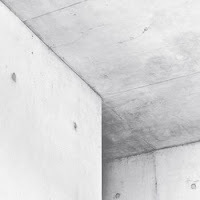 Of its five untitled tracks, two extend well past the ten minute mark, sustaining a kind of grumpy intensity that never lags. The album was recorded with budding producer Mikey Young of Eddy Current Suppression Ring, and was mastered by Qua’s Cornel Wilczek. Like their first album, it will be released on vinyl by venerable US label Siltbreeze, home to releases by the likes of Pink Reason, Times New Viking and Psychedelic Horseshit. Fabulous Diamonds toured the US in 2008 with the latter two bands, playing 26 dates in one month. In 2009 they were invited to perform at Belgium’s Kraak Festival alongside Wavves, Kurt Vile and others. They also played in the UK, Holland, France, Switzerland Portugal and Sweden on their 2009 European tour. In Australia the band have played with Deerhunter, the Horrors, Akron Family, Beach House and many more. "A new self released fan disc. A 19 minute track made purely with computer generated sine waves, layered and edited to form a strangely immersive drone piece. So, no dusty vinyl crackles, textural field recordings or grainy guitars here... just pure tones." 5" CD with a transparent outer ring housed in picture sleeve slipcase and another ultra limited edition - more engrossing sonic adventures from the man Zuydervelt. 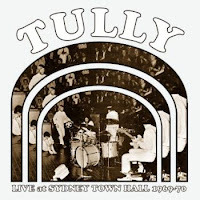 Chapter Music presents two rare live recordings from quintessential Sydney prog group Tully, including their 1970 performance of Australia’s first ever rock opera. These recordings capture the band in their first incarnation, before they joined forces with members of revered folk-psych band Extradition to explore more contemplative territory. In mid 69, Tully became the house band for love-rock musical Hair, recording the original cast album later that year. They also starred in a six part live-in-studio series Fusions. which premiered on ABC TV in August 1969. Sights & Sounds Of 69, from a May show of the same name, is the only live Tully recording to have survived the intervening four decades, and documents a typically far-ranging, mind-expanding performance. Ken Firth (later of the Ferrets) replaced John Blake on bass in December 1969.Perhaps Australia’s greatest living composer, Peter Sculthorpe wrote Love 200 specifically with Tully and vocalist Jeannie Lewis in mind. The work, commemorating Captain Cook’s expedition to map the Transit of Venus in 1769, was dismissed by the stuffy classcial establishment at the time, but Sculthorpe now calls it simply “one of my best works.” Heard here for the first time since the early 70s, Love 200 is an astounding piece, both elegant and jarring, serene and chaotic. After Tully’s 1970 self-titled debut, Wilson and Taylor left the band, which then assimilated Extradition’s Shayna Stewart and Colin Campbell before releasing two more albums, Sea Of Joy (1971) and Loving Is Hard (1972), both markedly different from their fiery and often thunderous early form. Sadly, all three of Tully’s studio albums are still to be officially reissued. Until then, Live at Sydney Town Hall, 1969-70 is a fascinating insight into the early work of one of Australia’s most heralded, but least heard bands. 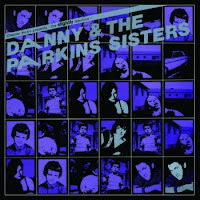 Chapter Music is proud to resurrect from undeserved obscurity the scratchy beatnik art-punk stylings of early 80s San Francisco trio Danny & the Parkins Sisters. 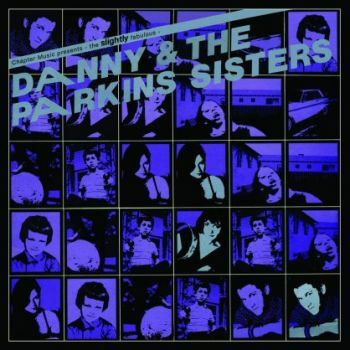 Surrounded by the classic SF punk sounds of the Dead Kennedys, Pink Section, Flipper and the like, Danny & the Parkins Sisters opted instead to head in a very different direction. Bratty Arizona transplant Danny Vinik and chic, alluring sisters Debra and Beverly Parkins strummed on detuned guitars, banged on whatever was close at hand, and declaimed hilarious, incisive lyrics that dissected the scenes and tribes around them in visceral, ungentrified early 80s San Francisco. Their high-performance shows played out in legendary venues such as the Sound Of Music and Club Generic. shoulda-beena classic, War Is On Your Doorstep, a pounding tribal punk chant that sums up all the paranoia and posturing of the post-punk era. By 1983 the band were over, with Danny heading to South America and the Parkins sisters to New York, but their brief SF moment shone with a peculiar, musically naive but still knowing charm. Fans of angular post-punk luminaries like the Bush Tetras, the Raincoats or Y Pants will love this CD, which comes filled with bonus demo, live and rehearsal recordings.